Pipes, flanges, flat steel, bars and so on, just a few of our delivery programme. 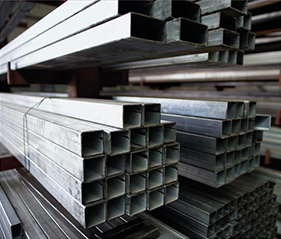 We can supply steel products in any grade of material, weight and dimension required. Do you have special wishes and do you need advice? Our people will be pleased to help you out and will make you a fitting offer. Click here to fill in our contact form and we will get in touch with you as soon as possible.